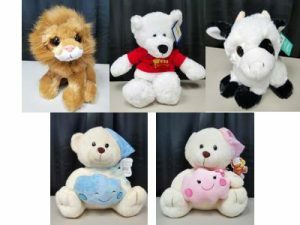 New Plush toys at Harnel – Harnel Inc. The best values for greeting cards, balloons, gift bags, and more. Harnel has added plush toys to their wide variety of items. Now in addition to greeting cards, balloons, gift bags and more you can get plush items at great prices. Plush toys make great add on sales, whether for a child or for a romantic gift. Teddy bears in multiple colors from $4. 12″ Musical teddy bears for babies just $7.95 Free shipping on orders of $150 or more. Harnel Inc. © 2019. All Rights Reserved.